Problem. 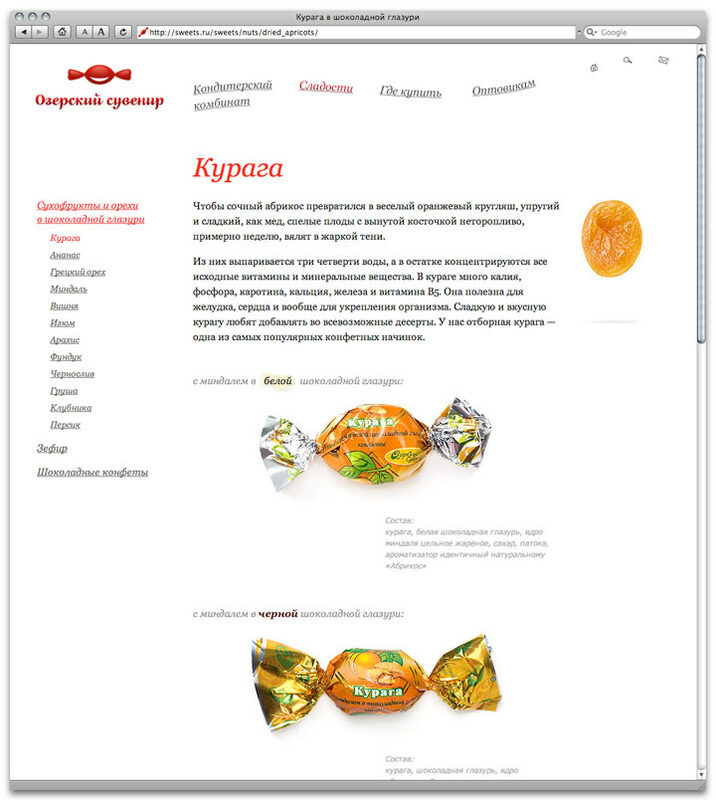 Create a website for a confectionery company. 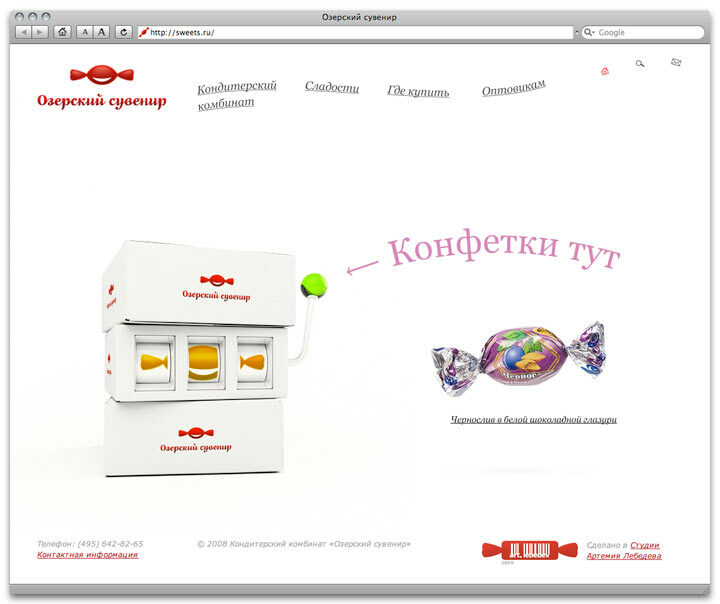 Ozersky Souvenir goes online to nicely present all of their products: glazed fruit and nuts, candies and marshmallows. Tidy white pages are perfect for showcasing brightly colored yummies. 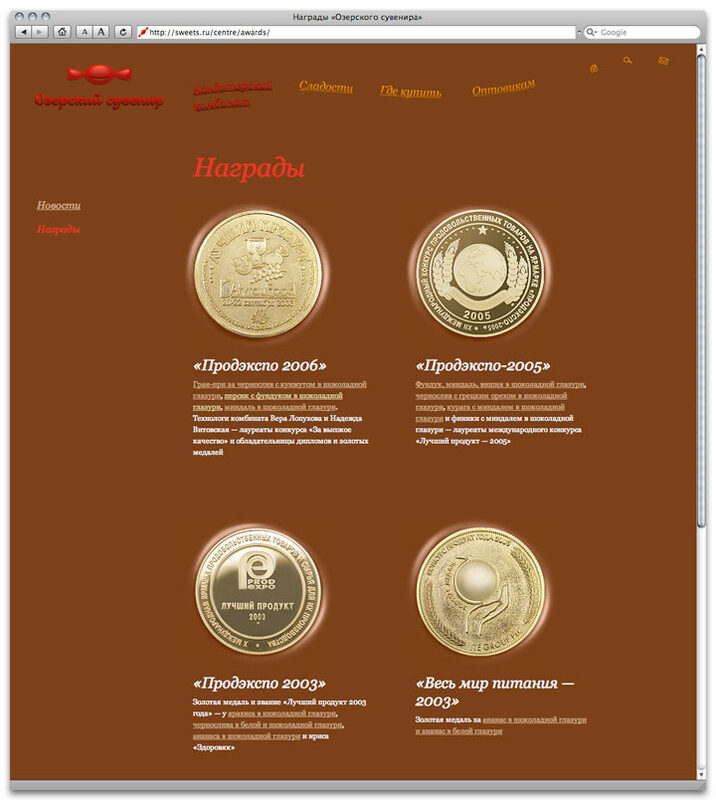 The only page with colored background demonstrates the company’s awards and prizes. Ozersky Souvenir is all chocolate! Ozersky Souvenir encourages resellers to go wholesale with boxes and boxes of sweets.